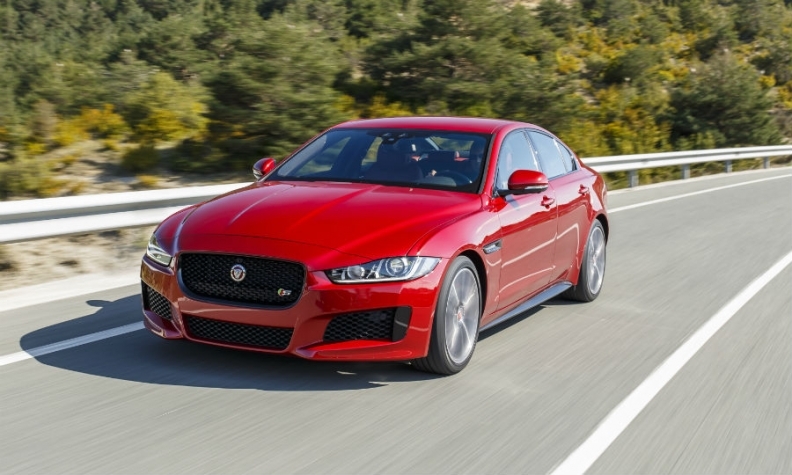 New models such as the Jaguar XE, shown, are helping JLR but product investment is eating into profits. MUMBAI (Bloomberg) -- Tata Motors' quarterly profit slumped as demand for Jaguar Land Rover vehicles in China waned. Net income fell 56 percent to 17.2 billion rupees ($269 million) in the quarter ended March, from 39.2 billion rupees a year earlier, Tata Motors said in a statement on Tuesday. Profit at the Jaguar Land Rover unit fell 33 percent to 302 million pounds ($465 million). Jaguar Land Rover retail sales volume declined in the quarter from a year earlier, dragged down by a drop in demand for luxury vehicles in China. Tata Motors' earnings were also hurt by a prolonged slump in sales of its light commercial vehicles in India, its home market. Tata Motors revenue rose 3.5 percent in the quarter to 675.8 billion rupees. Jaguar Land Rover sales increased 8.9 percent to 5.83 billion pounds. JLR's profit before tax fell 31 percent because of higher depreciation and amortization, and "unfavorable revaluation of foreign currency debt and unrealized hedges that are not eligible for hedge accounting treatment," Tata Motors said. JLR plans to spend as much as 3.8 billion pounds in the year started April 1, Vijay Somaiya, head of treasury, said at a press conference in Mumbai on Tuesday. Market conditions in China appear soft and the company will "continue to monitor," Somaiya said. JLR began selling Evoque made in China locally in February. Introduction of new models, and conditions in China and Russia may lead to lower Ebitda margins for JLR in the current fiscal year, he said. The luxury unit hasn't changed any pricing as of now in China, JLR CEO Ralf Speth said. "It's a totally new experience for us to be in China," he said. "Nevertheless, we are cautiously optimistic that together with our joint venture partner, we will grow our business and marketshare in China." Underpinned by new vehicles such as the entry-level Jaguar XE sedan and the Discovery Sport from Land Rover, the luxury unit has forecast sales will climb to a record of more than 500,000 vehicles this year. Losses at Tata Motors, excluding units, widened to 11.6 billion rupees, from 8.2 billion rupees a year earlier. Tata Motors said it won't pay a dividend for the year because of the "continued weak operating environment in the standalone business, and in view of the losses."